Inbound Insurance Subrogation Solutions - Afni, Inc.
We hear it all the time. 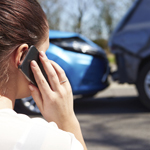 Claims adjusters are taking on more and more, sometimes even beyond their core focus. If your claims team keeps getting overburdened with extra work, you're not alone. It's typical for carrier subrogation and arbitration demands to land on the desks of claims adjusters. Sometimes those tasks get the attention deserved. Othertimes, not so much. We know there's a better way. Centralized and outsourced subrogation recovery isn't a new concept. Many carriers work with partners like Afni to gain the benefit of faster cycle times and higher recovery dollars. The next iteration of subrogation management is to centralize subrogation operations for the claims other carriers demand from you. We call it inbound subrogation. Defend and negotiate your position with subrogation experts and proven processes. Improve subrogation cycle times to your advantage. Keep your claims adjusters focused on what they do best. May reduce the number of chargeable accidents for policyholders. Lower the Average Liability Payment. We'll centralize your carrier-to-carrier demand subrogation operations with Afni's subrogation experts. In fact, we're happy to handle all your subrogation workload. Having all your subrogation work under one roof helps us identify trends, monitor performance, and give you the insight into your claims that result in the best performance possible. You only need Afni to manage end-to-end subrogation processes. Learn about everything we do for our client's claims operations. Subscribe to our email list and get helpful info about subrogation trends and Afni news. No spam. Just useful content for your inbox. Our contact channels allow you to be there, where and when your customers need you.